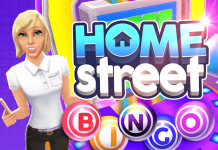 Home Supersolid Home Street Game Home Street Game: Heart’s Desire Update, Mystery Guests, & More Begins Today! 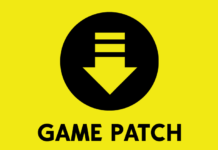 Home Street Game: Heart’s Desire Update, Mystery Guests, & More Begins Today! 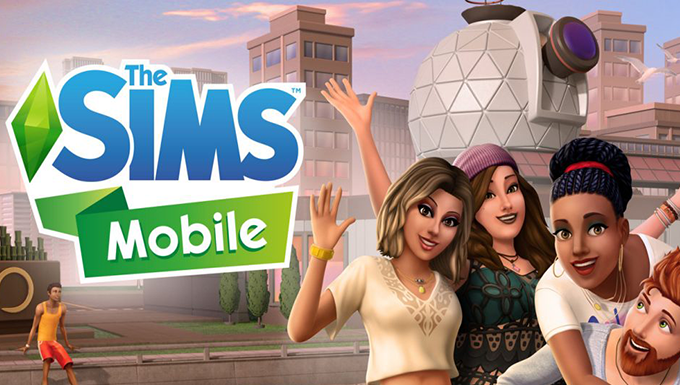 The Home Street Team will bring players a number of updates starting today, adding new features and events for February. Starting today, players will receive a new game update with new stories, Mystery Guests, the Heart’s Desire update, a new Pet, and more! 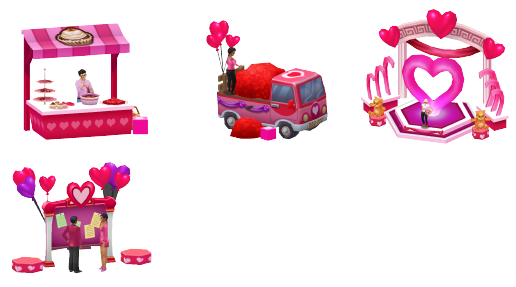 Hop into the game to enjoy the new Valentine’s Day themed content! Home is where the heart is! Celebrate Valentine’s Day on Home Street with the new Heart’s Desire update featuring heartwarming new decorative items such as the Double Round Valentine’s Bed, Rose Arch Way, Lovely Swing Seat & More. 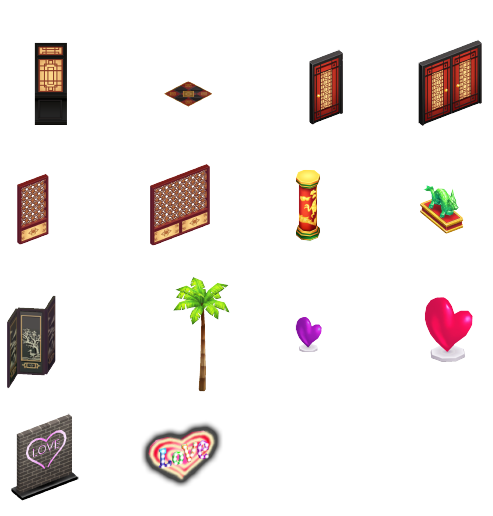 Discover love at first sight with the brand new loveable Poodle Pet and an all-new lighted Makeup Table! Then get ready to PARTY HEARTY with your Neighborhood friends in the Heart’s Desire Neighborhood Event starting on February 9th. We’ve also got new mystery guests headed to Home Street with all new Stories to complete along with exclusive new items and rewards! Does it sound like you want to fill your Home Street Home with love and happiness? Read on for more info & details on this lovely new theme. Love is in the air! 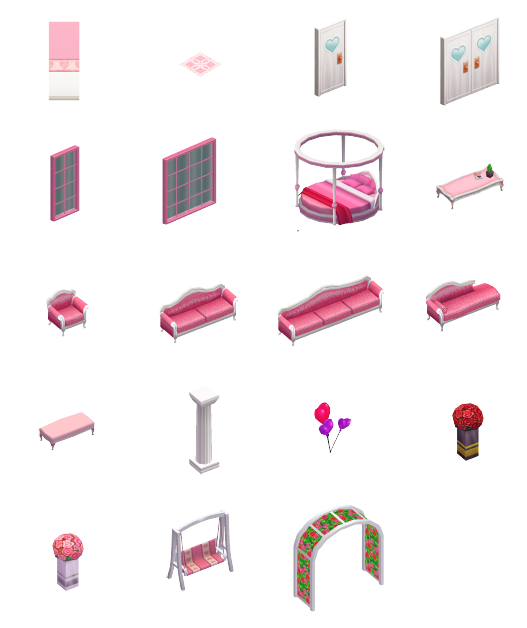 Create a sweet and romantic vibe at your Home Street Home with the new Heart’s Desire items such as the Elegant Pink Sofas & Chairs, Rose Vases, a variety of heart decor, & MORE! It will be love at first sight when you lock eyes with your brand new Poodle Pet! Known for their affectionate nature, Poodles make the perfect Valentine’s Day companions. Be your own kind of beautiful! 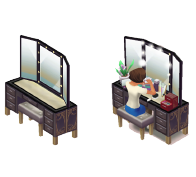 Add a touch of elegance to your bedroom or bath with the new lighted makeup table with trifold mirror and bench. Together is the best place to be! 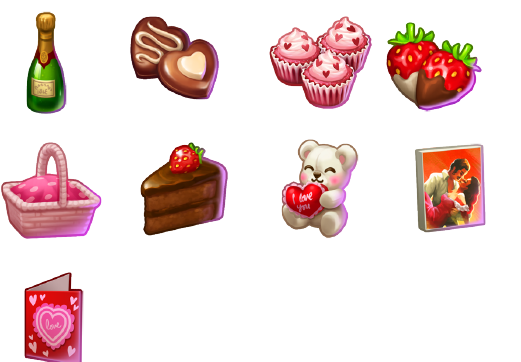 Join your Neighborhood friends in the Heart’s Desire Event and make wonderful gifts from the heart such as Valentine Cupcakes, Cute Teddy Bears, Romantic Paintings and More! Two new mystery guests are headed to Home Street with new stories, exclusive items, rewards, & more! 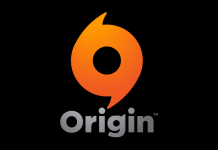 Curious about who they might be? Follow us on the Home Street Facebook page for a hint. Home Street Game: Fiesta Bingo, Royal Wedding, Corgi Pets & More Begins Today! 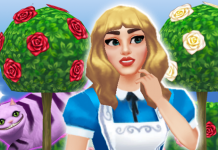 Home Street Game: Mad Tea Party Event, New Clothing & More Begins Today! Home Street Game: Spring Event, Mad Tea Party, Rabbit Pets & More Begins Today!